As I wrote in my last post, my Schoenthal great-grandparents died in 1941 and 1942. 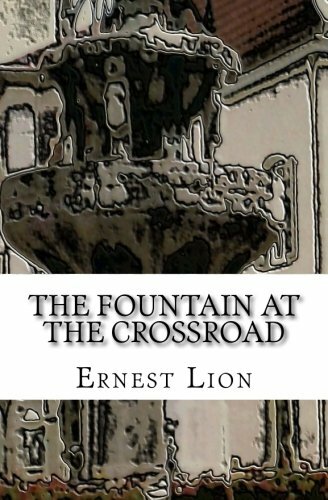 At that time, three of their children were living on the East Coast: Harold in Montclair, New Jersey, Lester in Upper Darby, Pennsylvania, and my grandmother Eva in Philadelphia. 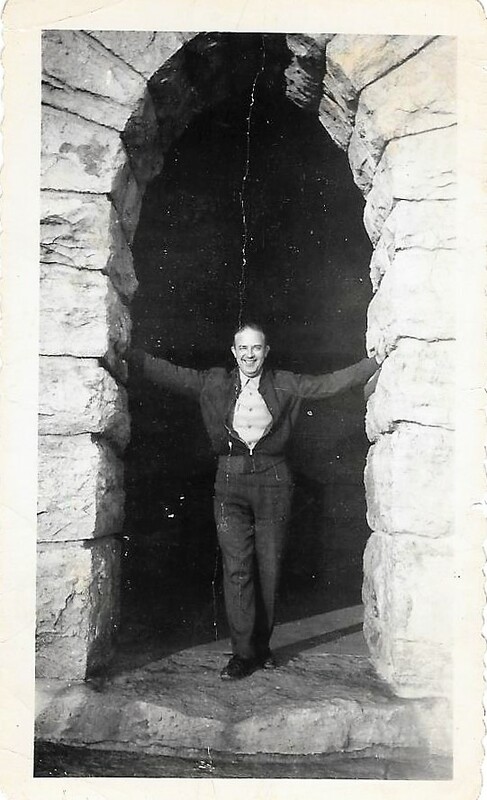 Gerson/Gary, the son whose asthma had taken them to Denver in 1907, continued to live in Denver with his wife Maude for many years, but in May, 1954 they decided to move to Desert Hot Springs, California, due to Gerson’s continuing health problems. The Desert Sentinel of Desert Hot Springs reported on June 10, 1954, p. 4, that, “Mr. and Mrs. Gary Sheridan are the lovely couple renting the Herb Ecclestone cottage for the summer. They are enamored of the village and will build a home here.” Sadly, within a few months of moving there, Gerson’s asthma finally took its toll, and he died at age 62. As this article from the July 1, 1954, Desert Sentinel reported, it appears he and Maude had quickly made friends in their new home. How very sad that a fluke in the weather contributed to his death from the asthma he had battled for so many years. Lester died five years later in August 1959, when he was seventy years old and had retired to Florida with his wife Juliet Grace “Julia” Beck. She lived another fourteen years, dying in 1983, dying in and buried in Livingston County, Michigan. Neither Lester nor Gerson had ever had children and thus have no descendants living today. I never met Gerson or Lester, although I was two when Gerson died and seven when Lester died. I had known virtually nothing about their lives before I started doing this research. I did meet my great-uncle Harold, however. He had lived with his parents until they moved to Philadelphia in 1941 and had remained single. When he was in his late 40s, he married May Gunther, and they had one child, my second cousin June. 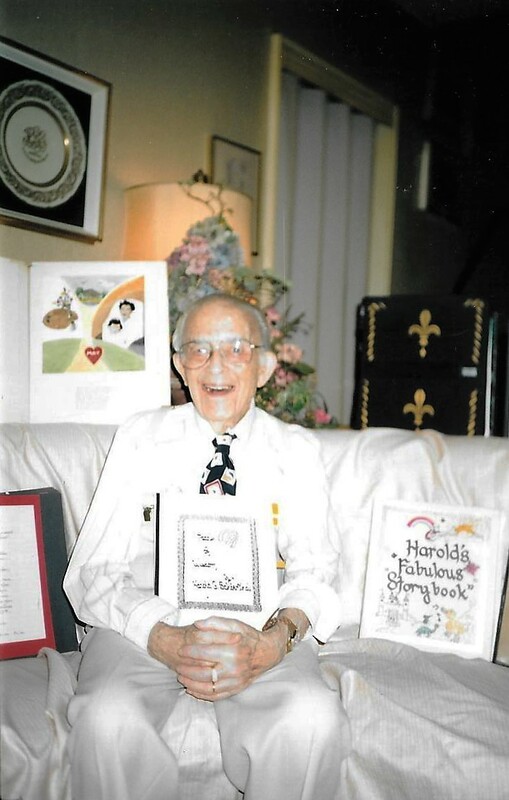 Harold was in many ways a role model and mentor for my father. He encouraged my father to pursue architecture, and my father took his advice and following in his footsteps, going to Columbia to study architecture. Harold was not only a designer; he wrote poetry and painted. He lived to 103, dying in 2004, in Montclair, New Jersey, where he had lived for almost eighty years. Although I only saw him a handful of times, I remember him as a very gentle and kind man with a good sense of humor and a positive outlook on life. I wish that I had been interested then in family history because he would have been an amazing source of information. 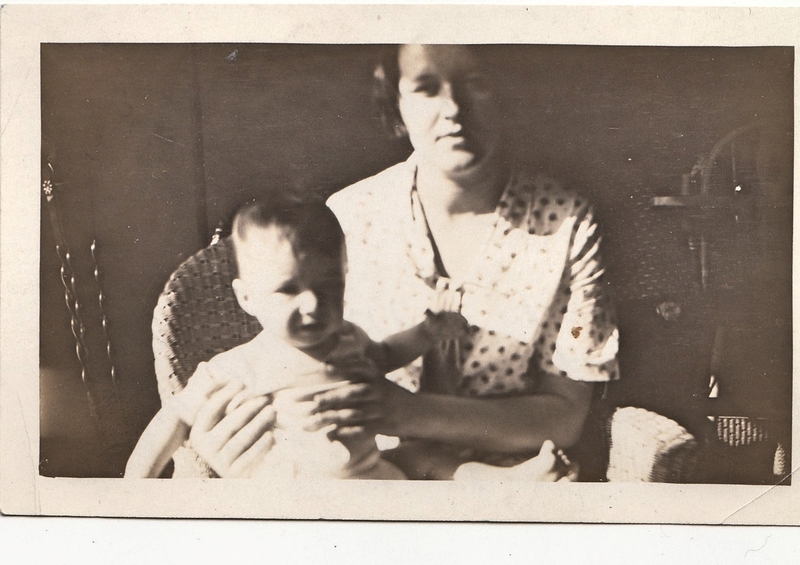 As for my grandmother, I knew almost nothing about her childhood before I started my research. When I found the pictures and news stories about her in the Denver papers and in her high school yearbook, it made me think that she might have had a happy childhood growing up in Denver. But her life was filled with challenges once she left Denver. She was only eighteen and just out of high school when she married a man she had known for only half a year and who was nine years older than she was; within a year she had had a child and before she was twenty-three, she had two children. She was living halfway across the country, far from her parents and two oldest brothers. Only Harold was nearby. Then her husband became disabled, and she just was not strong enough to deal with it all. When she finally started getting her life back together in the early 1940s, she lost both of her parents within a year of each other. Soon thereafter both of her children became adults and left home. She remarried in the 1950s to a very nice man named Frank Crocker who cared for her until she died in 1963 when she was 58 years old. It was when she was married to Frank that I knew her, and we would see her a few times a year when we would make day trips to Philadelphia to visit. My clearest memory involves Frank more than my grandmother; he and I watched a Dodgers-Phillies game together on television during one of those visits, and if I remember correctly, Sandy Koufax was pitching. I thought of that day when I saw last week that Sandy Koufax had turned eighty years old. My memory of my grandmother is of someone who was fragile and insecure with a reserved and genteel presence. But to be honest, I really did not know her well at all. Doing this research has given me a somewhat fuller picture, and although she remains largely a mystery to me, at least I now know more about her brothers and her parents and the lives they led as well as more about her and her life. Happy New Year! I am still on vacation, but had this post 90% ready before we left, so with a cloudy morning I was able to get it finished. Here is the remainder of the story of my Schoenthal great-grandparents; I have one more post almost done which will wrap up the story of my grandmother and her brothers. By the mid-1920s, my grandmother Eva Schoenthal and her brother Harold had left Denver and moved east. 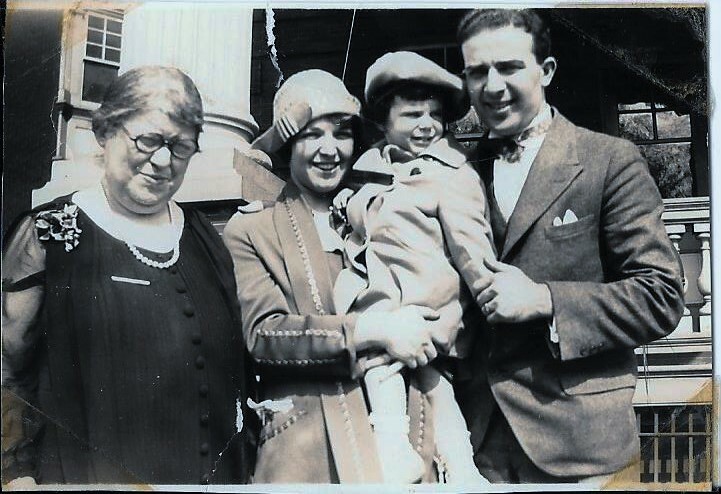 My grandmother had married my grandfather John Nusbaum Cohen and moved to Philadelphia in 1923. She had two children by the end of 1926. 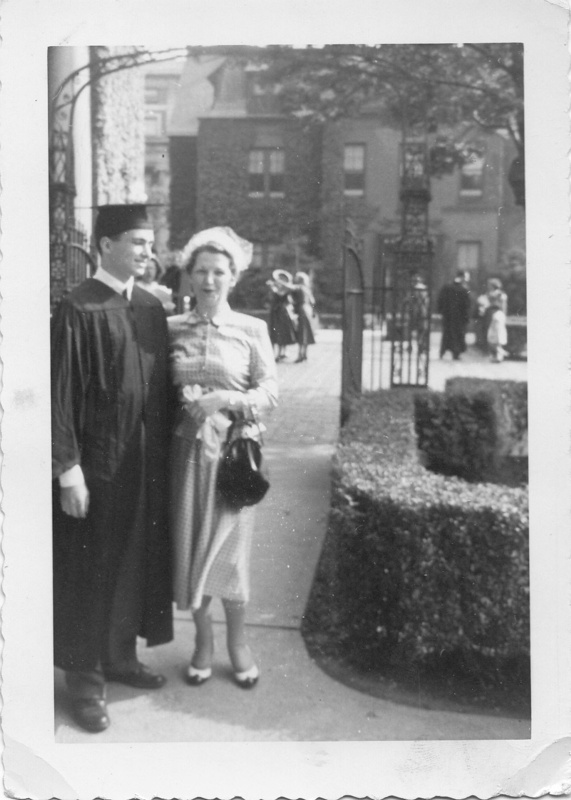 My great-uncle Harold was in college at Columbia University, studying architecture; he would graduate in 1927. The rest of the Schoenthal family was still in Denver, where as seen in the 1924 and in 1925 Denver directories, they were still in the same occupations in which they’d been employed earlier in the decade: my great-grandfather Isidore was still working for Carson Crockery; Lester was still a traveling salesman, and Gerson was a salesman for the Sunland Sales Cooperative Association. In 1926, however, my great-grandparents and their son Gerson and his wife Gratice were the only family members listed in the Denver directory. Lester is not listed in the Denver directory and does not reappear in a directory in the Ancestry database again until 1929, when he is listed in the Richmond, Indiana directory as a manufacturer’s agent; his wife is now listed as Grace. By that time Lester and Juliet Grace had moved back and forth between Denver and Indiana twice. It’s hard to know whether Lester kept moving for jobs or because he and his wife couldn’t decide whether to be closer to her family or his. 1929 Directory, Richmond, Indiana Ancestry.com. U.S. City Directories, 1822-1995 [database on-line]. Provo, UT, USA: Ancestry.com Operations, Inc., 2011. On June 15, 1928, my great-uncle Gerson was divorced from Gratice. Ancestry.com. Colorado, Divorce Index, 1851-1985 [database on-line]. Provo, UT, USA: Ancestry.com Operations, Inc., 2015. Also around this time, my great-grandparents left Denver and followed their two youngest children back to the east. 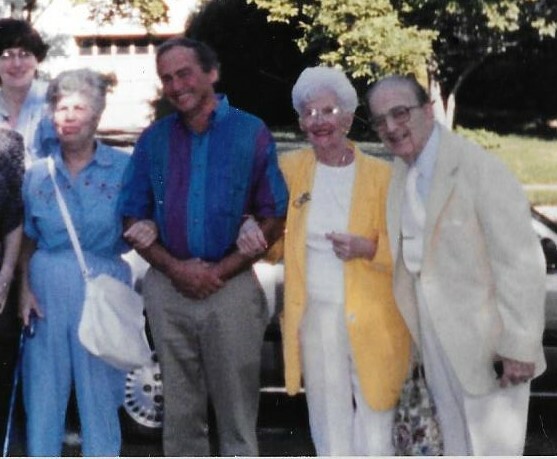 They settled in Montclair, New Jersey, where their son Harold was working as a designer after completing his undergraduate degree at Columbia. They were all living together at 16 Forest Street in Montclair in 1929, 1930, and 1931, according to the city directories for those years, yet they are not listed in the 1930 US census at that address or elsewhere. The enumerator did include other people who were living at that address (presumably an apartment building), but not my relatives. According to those directories, Isidore was working at The China Shop and Harold was a designer. A later news article about Harold indicated that in 1931 he was working at the interior design firm Schulz and Behrle. 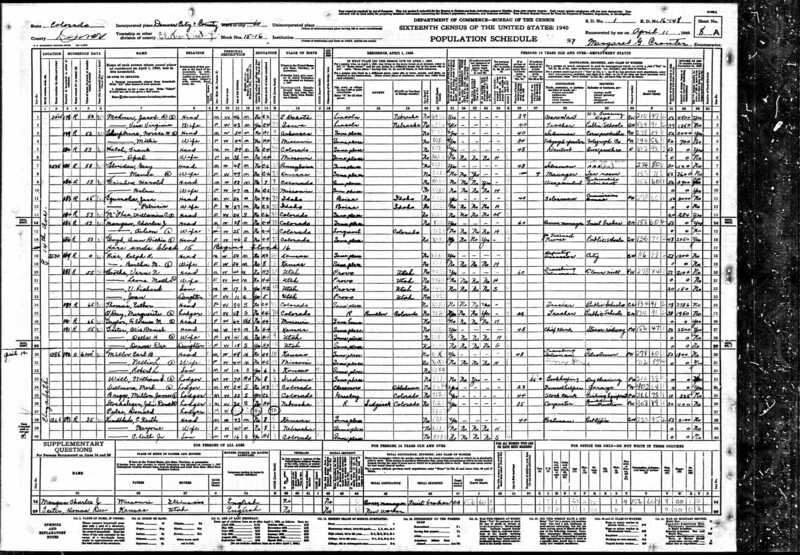 My grandparents, Eva (Schoenthal) and John Cohen, and their two children were living at 6625 17th Street in Philadelphia, according to the 1930 US census; my aunt was six, my father three and a half. My grandfather was a clothing and jewelry merchant. But not long after the 1930 census, my grandparents’ lives changed dramatically. My grandfather was diagnosed with MS, and in the aftermath of that diagnosis, my grandmother suffered a breakdown and was unable to care for her children. My grandmother ended up living with her parents and brother Harold in Montclair, New Jersey. 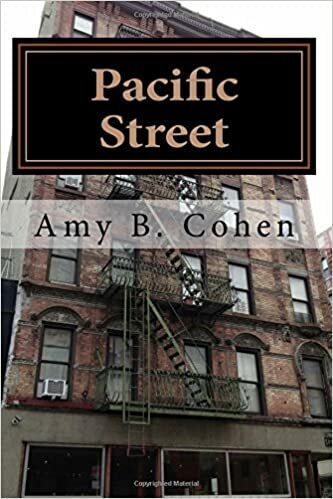 Her children were living with their ailing father and his mother, my great-grandmother Eva Mae Seligman Cohen, in Philadelphia, as I wrote about here and here. As for Lester, he and his wife were living in Richmond, Indiana, in 1930. Lester was a traveling salesman and Juliet (listed on the 1930 census as Grace) an office manager for an insurance company, according to the 1930 census. A year later, they had moved again. 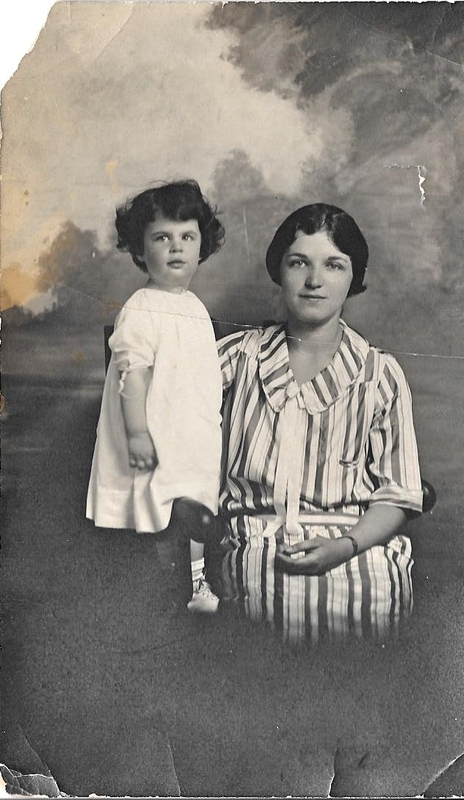 In 1931, Lester and his wife (listed here as Julia G.) were living in Dayton, Ohio. Lester was still a salesman. They are not, however, in the 1932 Dayton directory. I do not know where they were until in 1935, when, according to the 1940 US census, they were living in Montclair, NJ, where my great-grandparents and great-uncle Harold were also living. Thus, by 1930, Gerson was the only Schoenthal left in Denver. Gerson must have visited his family back East around 1930. That is my father in the photograph, and he appears to be about three or four years old in that picture. Although Gerson is listed in the 1930, 1931 , and 1932 Denver directories, like his parents and brother Harold in Montclair, NJ, he seems to have been missed by the census enumerator. Gerson is also missing from the Denver directories in 1934 and 1935, and when he reappears in the 1936 directory for Denver, he is listed with a wife named Maude. Maude Sheridan was born in May 11, 1883, in Salt Creek Township, Kansas. Her father died when she was just a young child, and she and her mother lived in Kansas until at least 1905. By 1910, she and her mother had moved to Colorado Springs, where they were living with Maude’s father’s brother, Patrick Sheridan, a leather retailer. Maude was working as a public school teacher. She became a school principal in Colorado Springs, Colorado, around 1912, and had great success there. In 1916, she signed a long term contract with Colorado Agricultural College, and she and her mother were living in Fort Collins, Colorado, in 1920. Maude was working as a college instructor. 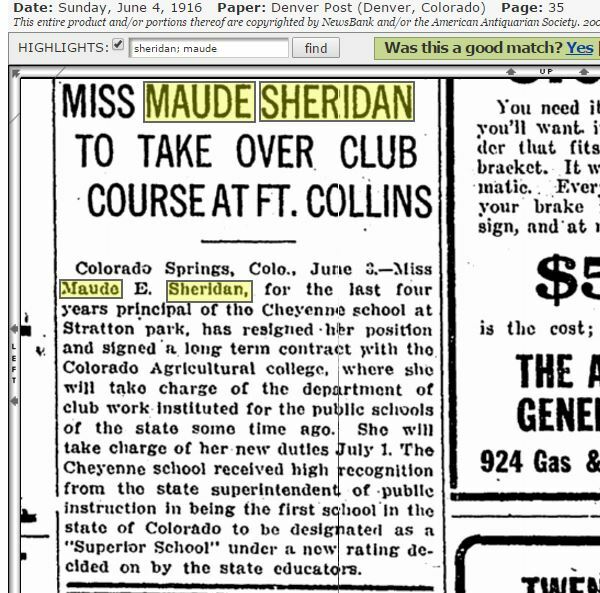 By 1930 Maude had left her education career and was the owner of a restaurant in Alamosa, Colorado. She was still single and no longer living with her mother. Then sometime between 1930 and 1936, Maude married my great-uncle Gerson Schoenthal. In 1936, she would have been 53, he would have been 44. Meanwhile, back in Montclair, New Jersey, in 1935, my great-grandfather was continuing to work for The China Shop, and his son Harold continued to work as a designer, living with his parents at 16 Forest Street in Montclair and working in Newark. My grandmother was also living with her parents in Montclair. 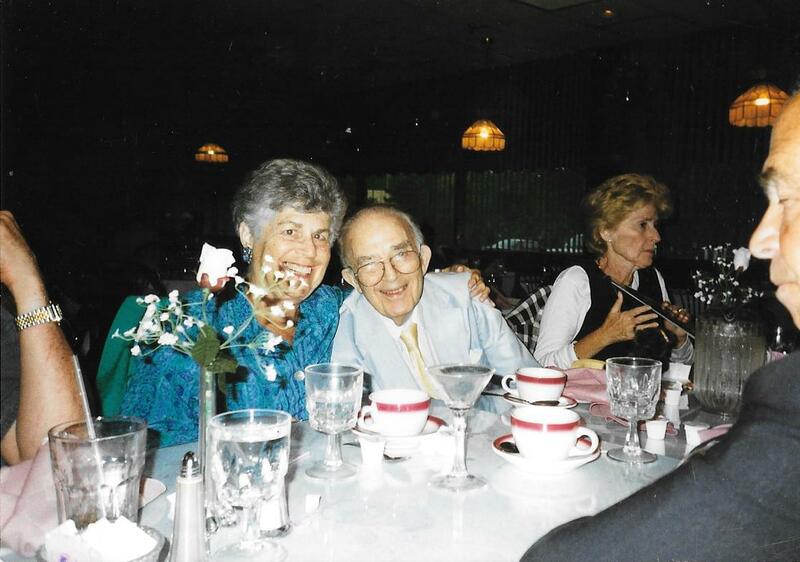 Lester and Grace also continued to live in Montclair where Lester worked as a salesman. All of them were still in Montclair for the rest of the 1930s, although my great-grandparents and Harold moved to 97 North Fullerton Avenue by 1937. 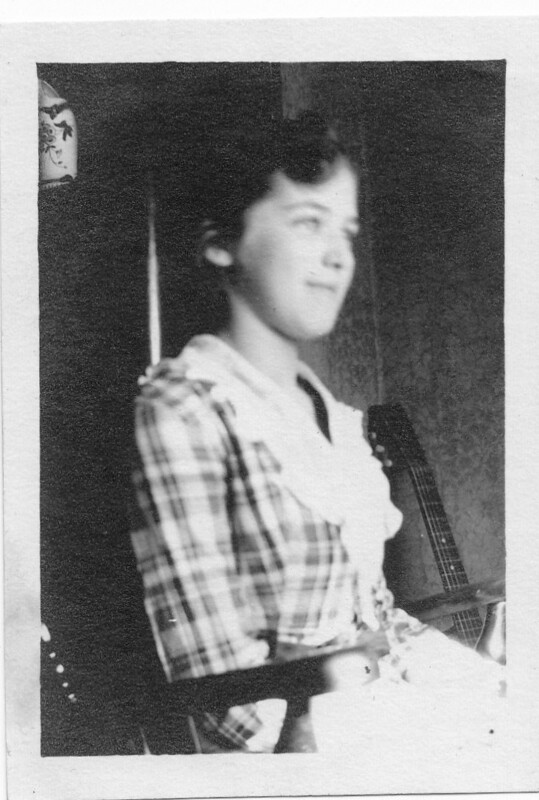 In 1939, my grandmother moved back to Philadelphia to live with her children, who were then sixteen and thirteen. Their father was in a long term care facility by that time, and their paternal grandmother Eva Seligman Cohen had died on October 31, 1939. According to the 1940 census, my grandmother was working as a saleswoman in the wholesale china business at that time. Her parents and brother Harold were still living in Montclair where in 1940 my great-grandfather was retired and Harold was working as a designer in the interior decorating business. Lester and Juliet had moved once again, this time to Upper Darby, Pennsylvania, where according to the 1940 census, Lester was working as a refrigeration engineer for a wholesale refrigeration business. 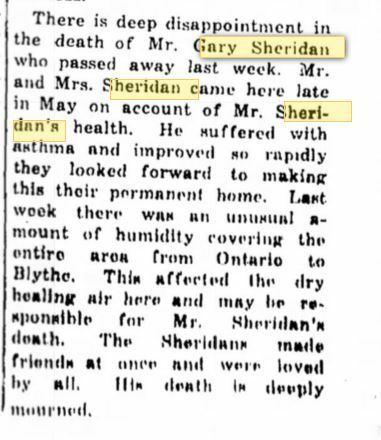 Obviously, Gerson had changed his name to Gary Sheridan sometime between the 1938 Denver directory and the 1940 US census. And for some reason he had changed his mother’s birth name (and his middle name) from Katzenstein to Kay. Why? To sound less Jewish, I’d assume. Or maybe to sound less German as Europe and eventually the US were at war against Germany. Sheridan had been Maude’s birth name, and Gerson kept his initials the same, but otherwise he’d taken on a whole different identity. 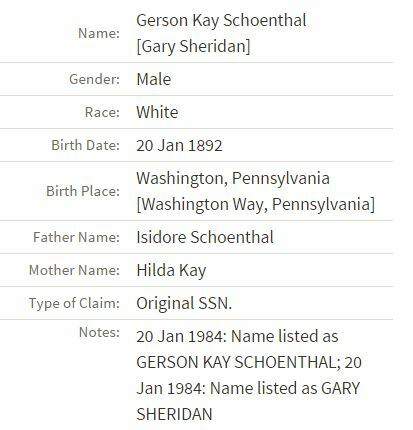 Once I knew his new name, I found Gerson a/k/a Gary and his wife Maude on the 1940 census. He was working as a salesman for the American Automobile Association, and Maude was working a manager of a tea room in Denver. In early 1941, my great-grandparents moved to Philadelphia to help my grandmother with her children and lived next door to them on Venango Street. 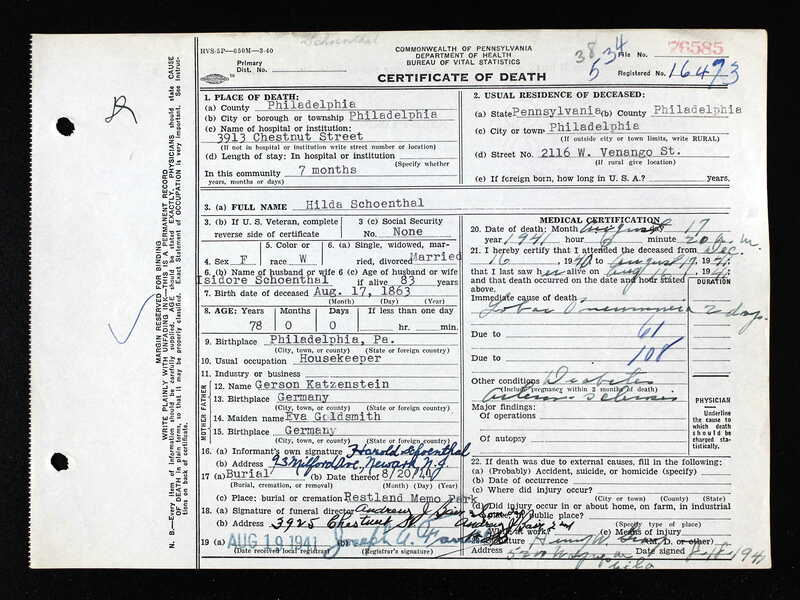 My great-grandmother Hilda Katzenstein Schoenthal died not long after on August 17, 1941; she had only been living in Philadelphia for seven months when she died, according to her death certificate. She was 77 years old and died from pneumonia. 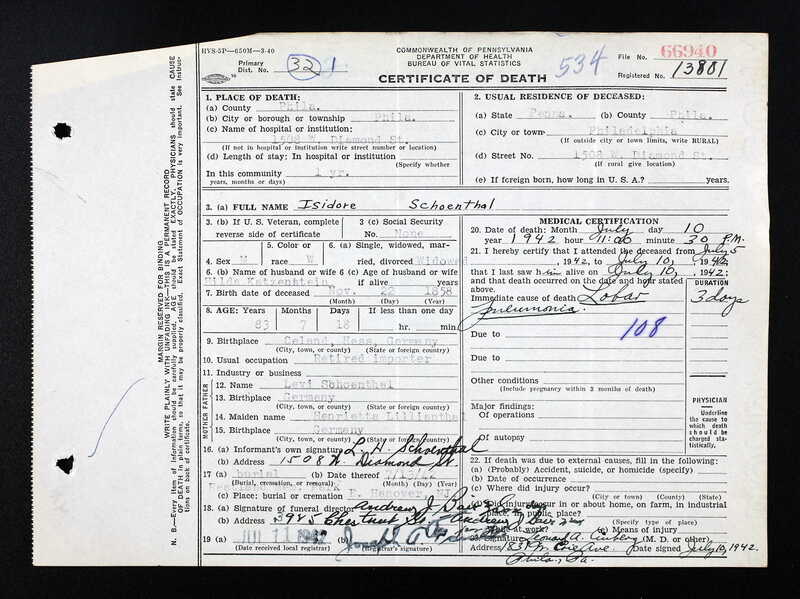 My great-grandfather Isidore died a year later on July 10, 1942; he was 83 when he died; he also died from pneumonia. 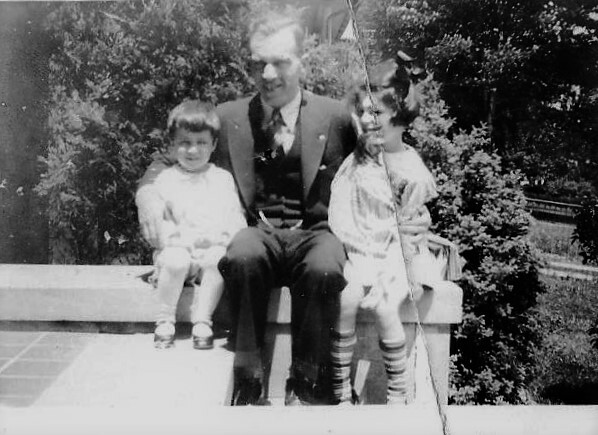 When I think about my great-grandfather’s life, I am left with many questions. He was the second youngest child in a large family and the youngest son. Of those who emigrated from Germany, he was among the last members of his family to arrive. He watched, one by one, as his older brothers and sisters moved away. Then he finally came to the US himself with his mother and younger sister Rosalie. He lived in the small town of Washington, Pennsylvania, for the first 25 years of his years in the US, a town where his older brother Henry was a recognized leader both in the business and Jewish community. Isidore had most of his siblings relatively close by once again. Then suddenly in his late 40s he moved far away from his entire family, taking his wife and his four children far from everything they knew to start again in order to give his son Gerson a healthier place to live. He started over working in the china business. And then he started over one more time when he returned to the east coast twenty years later to be closer to his two youngest children. In the end he and his wife Hilda ended up helping to care for his daughter and his grandchildren, including my father. By the time my great-grandfather died, he had lost every one of his nine siblings as well as his wife and his parents. My father recalls him as a very quiet man. 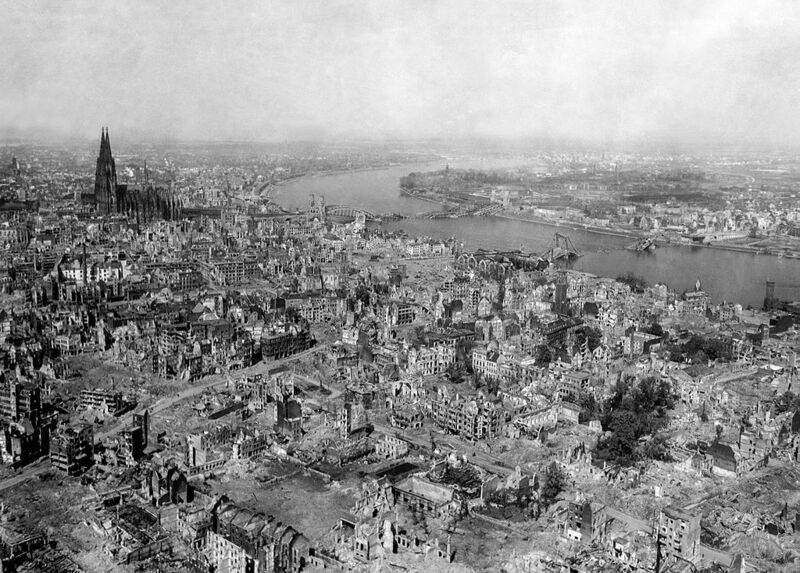 He has a vivid memory of his grandfather Isidore crying when he learned of the bombing of Cologne by the Allies in May, 1942, during World War II. My father had assumed that Isidore had lived in Cologne, and although his brother Jacob had lived in that city, there is nothing to indicate that Isidore had ever lived anywhere but Sielen when he lived in Germany. Perhaps it was more the notion that his homeland was at war with his adopted country and that the land of his birth and his childhood was being devastated by Allied bombing that made him cry. Perhaps he had visited Jacob in Cologne and remembered what a beautiful city it was. Or maybe he was just crying for the memories of his nine siblings and his parents, living in Germany, when he was a child. My father said that his grandfather didn’t talk about it, just sat with tears running down his face. He died just two months later. I will always wonder what stirred beneath the surface of this man who had led what seemed to be a quiet life but with so many twists and turns and so many losses. In Part III, I will follow up with what happened to Lester, Gerson, Harold, and my grandmother Eva after 1942.